BlackBerry Q5 with BB 10.1 launched in India for Rs.24990.00, new wine in a cheaper bottle! BlackBerry Q5 smart phone from BlackBerry stable featuring the BB10 was showed of yesterday by CEO Thorsten Heinshad at a BlackBerry Live function. The phone has been launched simultaneously in India for a price tag of Rs.24990.00. The Q5 will feature the latest BB 10.1 (not 10.2) version and will be a lot similar to the elder sibling Q10 but cost wise nearly Rs.20000.00 cheaper and if you dig deeper then there is more to Q5 then being just a cheaper version of Q10. I think it is much better then Q10... interested. Read on! So lets dig deep! The BlackBerry guys have blessed Q5 with a 3.1 inch LCD display with a 720 x 720 resolution with 328 ppi pixel density. Where does it differ from Q10, well, Q10 has a Super AMOLED display compared to IPS LCD display on Q5, while the size and resolution are the same. The Q5 will run on a dual core 1.2GHz dual-core Qualcomm Snapdragon and run on 2GB of RAM, which is good. Internal memory at 8GB with microSD card slot is also good considering the price tag and overall functionality of the smart phone. The Q5 with have a 5MP camera on the rear with a single LED flash, which will give you 1080p video output. The front camera is also decent at 2MP with a 720p output. 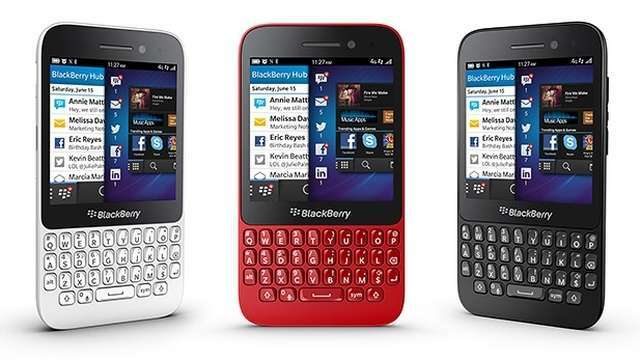 The Q5 will have the signature BlackBerry QWERTY keypad which will get a big thumbs up from the BlackBerry fans. If you ask me to consider the options I did go for Q5 instead of Q10 not only because its cheaper but it seems much more purchasable (if I may use the right word). Rs.20K cheaper then the Q10 with all the features except for the AMOLED screen and cam specs, is a super steal for me if I were a true blue BlackBerry fan. Hope this phone lifts the sagging spirits and the very very sagging bottomline of the maker.